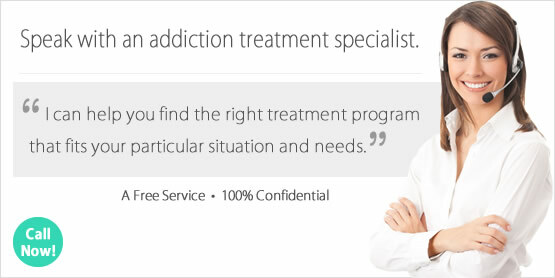 Looking for a Drug Rehab or Alcohol Treatment Program in Delaware? To overcome a substance abuse problem, you need the wherewithal to do so, and it takes a lot more than just willpower. Drug rehab in Delaware provides the wherewithal for individuals who can't do it on their own, to put an end to a drug or alcohol problem no matter how severe. So before giving up on yourself or a loved one, contact a drug rehab program in the state to speak with a drug treatment counselor. If you are inquiring about drug rehab for someone else, a drug treatment counselor can help get all of your questions answered and also give you guidance if the person is hesitant to get help. This could entail receiving assistance in having an intervention. In a single-day count in 2013, 5,278 individuals in Delaware were enrolled in some type of substance use treatment. This was an increase from 4,117 individuals in 2009. Among individuals in Delaware enrolled in substance use treatment in a single-day count in 2013, 48.1% were in treatment for drug use only, 14.1% were in treatment for alcohol use only, and 37.8% were in treatment for both drug and alcohol use. The highest percentage of residents were in drug treatment for abuse or dependence to heroin, with nearly 43% of treatment admissions being addicted to the drug. "Other opiates", which is what prescription pain killer abuse and dependence would fall under, is the second highest category and when combined account for over half of the total treatment admissions in Delaware that year. There is no other illicit drug that comes even close to these figures, making opiate addiction and dependence and alcohol abuse the two primary concerns. Are dependent on or have abused alcohol within the past year in the state, and only 11% received treatment for it, it is crucial that efforts be made to close this gap and get Delaware residents the help they need with effective alcohol treatment. Not surprisingly because it is one of the smaller states in the nation, there aren't very many drug rehab programs available in Delaware. There are around 35 outpatient treatment programs, 8 residential non-hospital programs, and 4 hospital inpatient programs. Opiate maintenance facilities account for 12 of the 35 outpatient treatment programs in the state, which also doesn't come as a surprise seeing as heroin and other opiates are such a significant problem there. Opiate maintenance facilities don't typically deliver any actual treatment beyond their services to administer prescription drugs such as methadone and buprenorphine to clients who are opiate dependent. This type of therapy works only to curb withdrawal and stop cravings, but it doesn't resolve the dependence issue in any way. There were over 2,500 outpatient clients participating in opiate maintenance services in the state as of 2013. More intensive outpatient programs offer treatment several days per week, and inpatient and residential facilities in the state offer the most ideal environment and circumstances for someone to overcome opiate addiction and dependence without the use of medical drugs as stated above. What does Inpatient Rehab in Delaware Involve? Inpatient and residential non-hospital treatment in Delaware is not only most structured and appropriate treatment environment for individuals who have struggled with serious drug abuse problems, but it also a format which can provide a much more comprehensive approach to treatment so that clients can stop the cycle of relapse that most experience in outpatient treatment. Client activities are based on tailored treatment plans which have been devised by experienced treatment counselors based on their particular challenges and treatment needs. Inpatient treatment in Delaware can include individual therapy and counseling, group substance abuse counseling, cognitive behavioral therapy, motivational coaching, and other conditional steps including diagnosis and treatment of co-occurring mental health disorders for dual-diagnosis clients. What does Outpatient Rehab in Delaware Involve? Most of the drug rehab programs in Delaware are outpatient, and most of the outpatient programs provide only the very minimal treatment services. You will have to find more aggressive intervention if you have a chronic drug or alcohol problem, if minimal outpatient services which include individual and group counseling services one day per week in most cases isn't proving effective. There are day treatment/partial hospitalization facilities in Delaware, which provide the most intensive outpatient services on a daily basis for clients who need more dependable and structured treatment and support but whom cannot participate in inpatient or residential treatment. These facilities are also typically prepared to deliver treatment to dual diagnosis clients.